I just don’t understand how someone can make claims 30 plus years later.. it hasn’t been a problem all this time and all of a sudden it’s an issue? I don’t understand how most claims are validated after so long.. being scared is one thing but living your entire life without issue and now it’s life changing? Sorry. But I can’t. The whole situation is ridiculous! The government is nothing but a bunch of he said she said five year olds. Especially if someone feels they won’t be believed or that it will impact their life in a negative way which it has for most. Just because they havnt said anything for years doesnt mean it hasnt been an issue for them for years. 1) She was in therapy for over a decade after the incident. 3) She came forward when his name hit national attention and felt obligated to say something to his character. Do you say the same thing when victims of sexual assault by priests come forward years or decades after they were assaulted? I’m guessing no. Dr Ford has sacrificed a lot for this. Her family has received hundreds of credible death threats, she has sacrificed her mental health, her professional reputation, she’s had to move her family due to being under threat of attack in her own home. She’s not doing this for attention, or fame, or money. 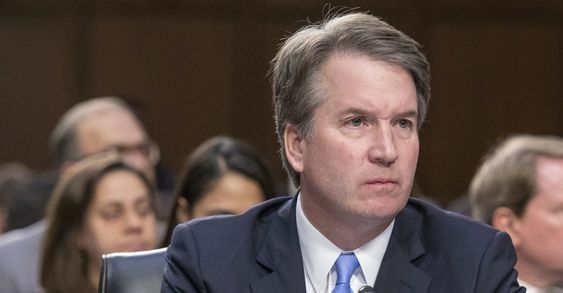 She came forward because she saw a man that she knew to be a sexual predator and alcoholic being considered for a Supreme Court Justice seat. Honestly it doesn’t matter at this point, it is mute. It’s been way to long and action should have been taken there. Documents providing her therapy sessions needs to be provided showing that’s what therapy was for, etc. if she’s going to go public now when he’s about to take a major seat then all the air needs to come out. I’m. It up here to debate I’m giving my opinion. Being able to tell your story and possibly be believed is healing. Also if you have been in therapy, a therapist will suggest that this is part of the healing process as well as a way to help others who may have been hurt by this same person. I truly believe she thought she would get a fair investigation. Speaking from experience, it takes a long time and sometimes never before a victim is prepared to face her/his assailant.